Here’s another from my high school sketchbook. Meiling Li is my favorite character from my favorite anime (and the inspiration for my pen name). I drew her a lot, in various outfits and hairstyles. Here I gave her braids instead of her trademark odango. She’s wearing “civilian” clothes but the top takes some influence from the Chinese style of her battle costume. 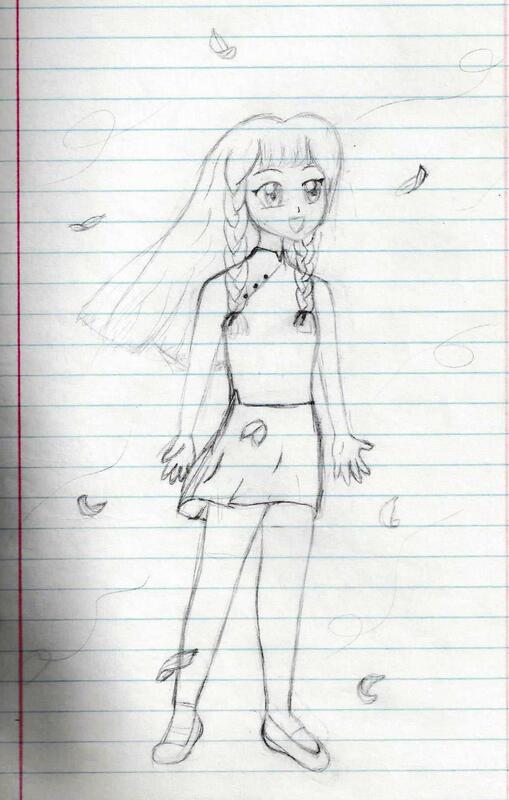 There’s a lot that’s cringe-worthy about this sketch (the feet eeeeeek), but I love her hair, her expression, and the leaves and wind swirls.